Readers of Irtiqa may recall a post last March where Salman, referring to a BBC Radio 4 report, had highlighted the important Abu Dhabi Masdar project: Masdar - Abu Dhabi: The Silicon Valley of Renewable Energy? Indeed, this is a hugely ambitious project, where a whole city (of 45,000 residents plus 45,000 commuters) is supposed to be “zero-carbon”, or at least “carbon-neutral”. Zero-carbon means no production of carbon dioxide at all, so no traditional cars, no fuel burning, all energy essentially solar or “clean”; carbon-neutral means that any carbon dioxide produced in the city needs to be compensated for, say by trees that will be absorb an equal amount. And anyone who has lived in this part of the world knows how close to impossible this is going to be, for the energy requirements of life (the constant heat requiring 24-hour air conditioning some 10 months in the year, cars are used even for very short distances, etc.). And knowing the current low-efficiency of solar cells or other alternative-energy apparatuses, the investment in large solar panels and such is going to be horrendous. Add to that the very smart designs needed for the whole city, taking into account the non-usage of (traditional) cars, and you get a brand new kind of city and life, one which may challenge even the most patient and environmentally committed amongst us. All this has been noted by various observers. What I would like to mention today is the graduate-level institute which goes with the project: the Masdar Institute of Science and Technology (MIST, or Masdar Institute for short), which is a Master’s and Doctorate-level institution, highly research-oriented and focused on alternative energy, sustainability, and the environment. It established a partnership with the famous Massachusetts Institute of Technology (MIT), which provides “scholarly assessment and advice”. 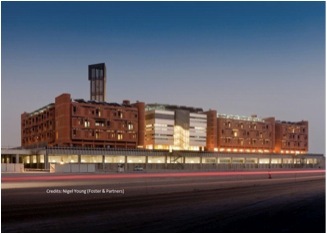 The Masdar institute, which aims at serving the bigger Masdar City project and provide pioneering graduates who can produce new solution for urban life of a new, environment-friendly life, opened its doors in September 2009 to 88 students, and added about 100 others in September 2010. So where’s the novelty, you may be asking, if this institute has been in operation for 16 months, has a small number of students (see their fields of study here), and has not graduated anyone yet or produced any publicized new “solutions”? Well, the new development is that last year everyone was housed temporarily in a building downtown Abu Dhabi, but this past September everyone moved to the new “zero-carbon campus”, and a few days ago, Gulfnews (the largest English-language daily in the Gulf) published a long story about life in such a different environment, interviewing some students and faculty members. I think this is an interesting experiment, which degree of success will have to be measured in a few years and beyond. 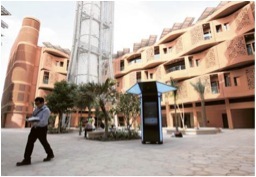 The cost of Masdar City, initially estimated at $22 billion, has now been revised to some $16 billion. One may guess that the cost of the Institute alone (construction and operation) may reach around a billion dollars. It remains to be seen whether the returns, over ten years, from that investment, returns in the form of the high education of, say, a thousand M.Sc. and Ph.D. holders in (important) fields like Environmental Engineering, Materials Science, and Engineering Systems and Management, as well as various innovations (patents) and research results, will be judged to be substantial enough to justify the costs. As to the carbon-neutral, zero-waste city, it is not expected to be completed before 2025; who knows what may happen between now and then. On a more modest note, my university recently announced that starting next semester, the whole campus will be smoke-free, both inside and outside buildings, except parking lots and areas next to living quarters. Smoking was, until now, not allowed inside buildings only. 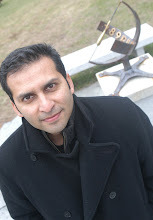 The administration cited two main reasons for the new law: a) passive or second-hand smoking, even in small amounts, causes health problems for non-smokers; b) campus cleanliness (some smokers extinguishing their cigarettes on buildings or dropping the butts on the ground, leading to permanent disfiguration of buildings and a trashy appearance of the campus). I can only applaud.